Elderly and minority voters are among the targets of new voting restriction laws passing state legislatures throughout the country. Voters in North Carolina, Wisconsin and Kansas won victories when judges struck down Republican led efforts to restrict voting in those states. A three-judge panel of the 4th Circuit Court of Appeals blocked North Carolina’s law that had unfair limits on the number of acceptable photo ID’s, eliminated same-day registration and curtailed early voting. In its published opinion, the court made it clear that race and political control played a large part in the law’s inception. In Kansas and Wisconsin, judges overturned other efforts by Republican lawmakers to limit minority voting. Kansas’ secretary of state hoped to set aside as many as 50,000 votes this November of those who had not met its proof of citizenship rules at registration. A Wisconsin federal judge threw out several election laws and limited the state’s voter ID laws that imposed increased residency requirements and disallowed certain photo IDs. With a surge in minority voting threatening the legislative balance of power in traditionally Republican states, a wave of voter restriction laws have emerged across the country. 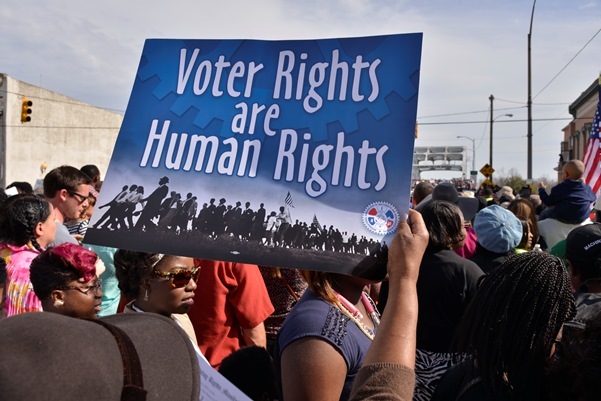 The recent rulings emphasize the importance of ensuring a fair electoral process that reflects the goals of the Voting Rights Act of 1965.